You can trust Light of Mind products because our team have been working together for over 30 years making sure every download we offer contains the very latest findings in brain/mind research. 2 million albums sold. 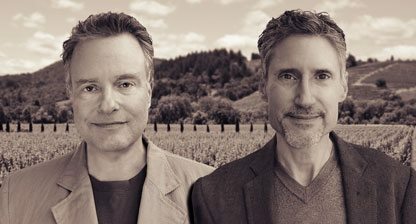 They are also founders of Sequoia Records, one of the world’s leading record labels of music for relaxation and healing. They have created over 200 human potential audio programs and 37 acclaimed relaxation music albums. Dr. Bratman is author of The Natural Health Bible and more than a dozen other books in the field of natural medicine. He is also the primary author of EBSCO’s natural and Alternative Therapies electronic database. Dr. Cohn has studied and practiced the healing arts through hypnotherapy for the past 35 years. He is a Certified Hypnotherapist and also has a degree from the University of Southern California. Dr. Mary Fuller is a respected consultant to business and government, in private practice. She holds a doctorate in Behavloral Science, is a certified Hypnotherapist and has developed her own form of Ericksonian Hypnosis based on non-directive alpha-level techniques. With a 15 year background in holistic health, meditation and yoga, Dr. Alexander is Founder of the Esteem Center and is currently specializing in therapy for eating disorders. Susan Grace is an author, consultant, consciousness researcher, seminar leader and publisher of InnerView Friends of Wholism magazine. She specializes in helping people gain positive self-esteem and realize their personal potential. Founder and seminar leader of the Aquarian Center with an MS in Psychology and Statistical Research at Southern Connecticut State University. Seth, a well known advanced spiritual guide speaks through Jean Loomis. Find out how to order, how to choose downloads, the differences between product types are and more. Once your payment is completed in the shopping cart, you will be taken to a page with links for instant downloads.